Come join the Stephanie Alexander Kitchen Garden Foundation team for a fun and rewarding weekend. We’d love some helping hands, and invite you to be part of our all-important volunteer team at Paul Bangay's Stonefields Open Garden. This event is a major fundraiser for the Foundation, and volunteers are critical to its success. A variety of ingredients are required to ensure visitors to Stonefields Open Garden have a wonderful experience. Volunteers will help with gate entry and exit, merchandise sales, food and beverage sales, shuttle bus assistance, traffic management and much more. 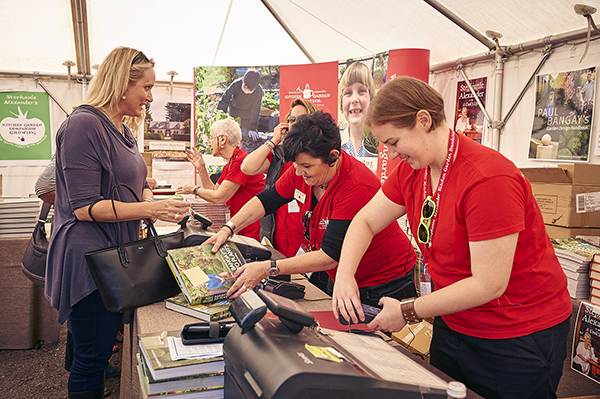 Where possible, volunteers are invited to help for a full day – but part-day early and late shifts are also available. You will be supplied with lunch and snacks, as well as an event-branded red T-shirt to wear on the day. You will also have the opportunity to view the gardens before or after your shift. Can you help? Please download the volunteer form. Any questions? Contact Rachel on 03 8415 1993 or events@kitchengardenfoundation.org.au for more information.